WELCOME TO LONDON EYES ACADEMY! LOOKING FOR A CAREER IN THE MAKEUP INDUSTRY? Then you are just about to enter one of the most exciting and rewarding careers there is! For truly world-class makeup training, look no further than London Eyes International Makeup Academy. Illinois Board of Higher Educations. 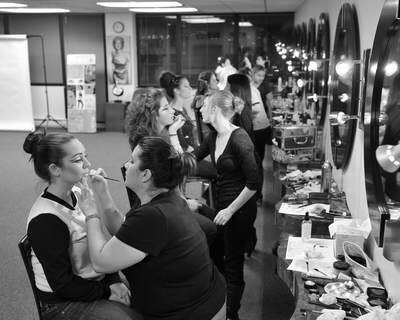 London Eyes Academy has been a leader in makeup artistry training in the United States since 2004. 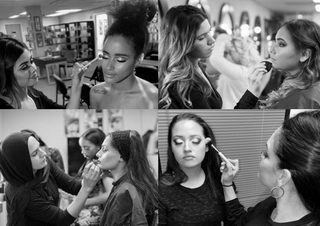 Our goal has been to produce the best makeup artists the Midwest has ever seen. Our curriculum offers an extensive study of traditional makeup styles, as well as some of the newest and most innovative techniques to arise from this ever changing industry. We focus on providing our students with the most knowledge, exposing them to the best products, and supplying them with all of the tools needed for success. Jolanta Wadecki is our Educational Director. She is the driving force and visionary behind the success of London Eyes Makeup Academy. Jolanta has more than two decades of experience in the makeup industry and she is just as passionate about her craft now, as she was the day that she picked up her first makeup brush. For that reason, she is constantly updating the academy’s makeup program with the newest domestic and international trends. Our talented and experienced team of instructors make sure that they convey Jolanta’s vision by combining their own passion, personality and knowledge of the industry with the program guidelines. They have backgrounds in all areas of the makeup industry, each possessing a diverse perspective and skill-set, and experience working around the world. This guarantees a unique experience for each class, and keeps the students engaged. We welcome you to the London Eyes International Makeup Academy and hope that we help you to achieve your dreams and goals. London Eyes’ intensive training gives our students real life work experience and ensures that they graduate with confidence, passion and the knowledge that will allow them to soar in this competitive industry. London Eyes International Academy of Makeup is an innovator in makeup artistry training. We have set the standard. 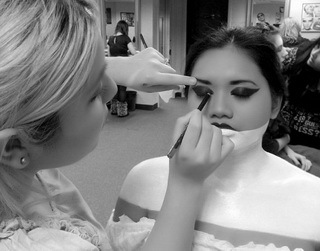 The education that we provide spans all areas of makeup, including: film, fashion, multimedia, HDTV, SPFX and injury simulation, photography, beauty, and theatrical. In addition, our students benefit from our advanced airbrush makeup training, which exposes them to current trends and techniques in airbrush makeup. Click here to register, send us an email or find out more about our programs. FREE Make-Up Tips, Advice and Updates on our Courses.